If you’re thinking of buying a PlayStation 4, now is as good a time to get one as any. 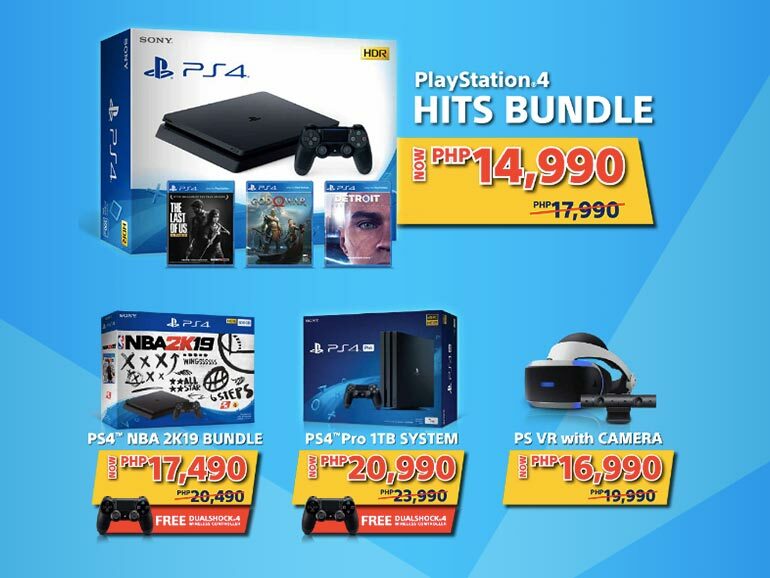 Sony Philippines is offering PHP3,000 discount on various PlayStation 4 bundles. 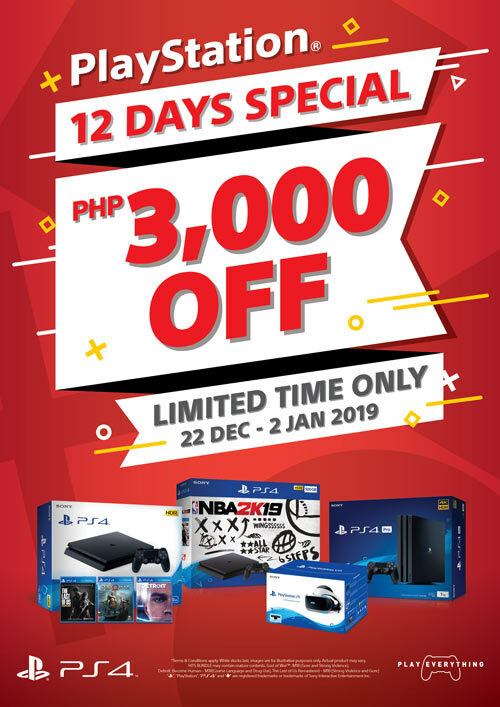 The promo is from December 22, 2018 until January 2, 2019. You can check with your favorite authorized PlayStation dealer if it is available. PlayStation 4 Hits Bundle (500GB) – Comes with The Last of Us Remastered, God of War, and Detroit: Become Human. Price: PHP14,990. PlayStation 4 NBA 2K19 Bundle(500GB) – Comes with NBA 2K19, free DualShock 4 Wireless Controller. Price: PHP17,490. PlayStation 4 Pro (1TB) – Comes with free DualShock 4 Wireless Controller. Price: PHP20,990. PlayStation VR with Camera – Price: PHP16,990. In my opinion, the PlayStation 4 Hits Bundle is one of the more compelling buys because of God of War and Detroit: Become Human. These two are great games. Including The Last of Us is icing. For those looking for that nostalgic console feel, you can get a PlayStation Classic instead. This is miniature version of the PS One and comes pre-loaded with 20 classic game titles such as Tekken 3, Resident Evil, Grand Theft Auto, and Final Fantasy VII. For the complete list of games, check out our post HERE.